I am a criminal defense attorney in Tallahassee, Florida, and I primarily focus on criminal allegations. However, I also handle collateral matters and allegations, the increasing number of which, involve ex-girlfriends, friends with benefits, friends, strangers found on social media and on and on . . . . It’s seemingly never-ending. Here is how it goes, someone gets their feelings hurt because breakups are never fun. They get angry at the other party, then start some dialogue in their head that the person is following them (even though they live in the same area of town, have the same friends, and go to the same pickup bars). Then the one with the grudge believes that somehow this person is stalking them. Holy Cow! Are you kidding me? I was a young prosecutor when the stalking statute was created, and it had a very good purpose. Now, it is becoming a tool for angered exes (lovers, friends, enemies) because the person goes down and fills out the forms and, voila, a Temporary Injunction is filed. Although the judge knows the injunction was filed by a lay person and not an attorney, he or she signs it anyway in an abundance of caution to ensure that the person is protected until an evidentiary hearing can be held -BOOM! You now have an injunction history even if the case is dismissed. Really? I sat through a hearing recently where there was not a single mention of a threat, not one. Merely sightings of the respondent and stories from the past “on again, off again” toxic relationship that had no relevance and no indication of a current or past threat. What happened to “sticks and stones but words,” heck just sightings will hurt me? Florida Statute 784.048 provides definitions for the terms, “harass,” “course of conduct,” “credible threat,” and “cyberstalk,” and they each have their own subsection of the statute. These definitions are pretty self-explanatory, yet they say nothing about sightings or “happening to appear in the same place,” and nothing about the crappy parts of a past relationship. In addition to the definitions found in §784.048, there is another part of the Statute that must be fulfilled to constitute “stalking.” Florida Statute §784.048(2) and (3) require willful, malicious, and repeated behavior harassment, stalking, etc?. Is it willful or malicious to live in the same town and do the same things you did before a breakup? If you repeatedly go to your job, repeatedly walk your dog in the same park as before the breakup? How about just repeatedly driving on the same roads and streets? How about eating at the same restaurants? Luckily, judges and the case law help clarify all of these issues. However, the person who is a respondent had better beware. Florida Statute §784.048(2) and (3) require willful, malicious, and repeated behavior harassment, stalking, etc?. Is it willful or malicious to live in the same town and do the same things you did before a breakup? If you repeatedly go to your job, repeatedly walk your dog in the same park as before the breakup? How about just repeatedly driving on the same roads and streets? How about eating at the same restaurants? Luckily, judges and the case law help clarify all of these issues. I have had multiple clients attempt to try their own cases and then come to my office crushed, asking me to fix it. It is highly unlikely that a case that started prose can be fixed later. The best thing to do would be to speak with an experienced trial lawyer, someone who has tried over 100 jury trials. Speak with a strong, tireless, advocate who will fight for your best possible result. An ounce of prevention is worth a pound of cure. Mark Twain once said, “a man who represents himself has a fool for an attorney” and he was absolutely right. As stated, being criminally charged with stalking is often a convoluted mess that results from break-ups, hookups, and jealousy. Speaking with an experienced criminal defense attorney is the best thing you could do under these stressful circumstances. Call Pumphrey Law for a free consultation for more information about your stalking charges and how to fight such a serious accusation. The attorneys at Pumprhey Law represent clients throughout Leon County in Tallahassee, Florida. Call (850) 681-7777 now for more information about fighting stalking charges in Florida. Call Pumphrey Law for a free consultation for more information about your stalking charges and how to fight such a serious accusation. 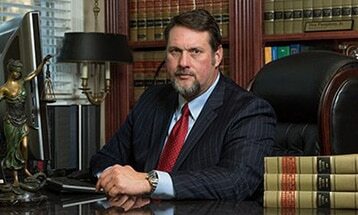 The attorneys of Pumphrey Law represent clients throughout Leon County in Tallahassee, Florida. Call (850) 681-7777 now for more information about fighting stalking charges in Florida.